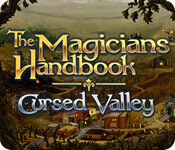 The Magicians Handbook - Cursed Valley is rated 3.0 out of 5 by 4. Rated 4 out of 5 by AverageSizeFish from Oldie but Goodie The graphics are mildly grainy but not significantly enough to make game play difficult. The soundtrack fits the theme of the game. Game play consists of reading a book written as a tongue-in-cheek magician's training guide/history and then finding "enchanted" objects in a series of HOS. After you find the requisite number of objects you play a short game or do an unusual type of word search to "cast" a spell the book taught you. The game consists of matching strings of objects in a row and the word search consists of finding fragments of the words that make up your spell as they hover in a moving field of other word fragments. You can play in timed or untimed mode. The HOS are very challenging and there are one or two objects that felt a little unfair because they were either very, very small or almost completely obscured. All the HOS are basic list finds with no interaction and you return to any given scene multiple times. I enjoyed the HOS even with the items that were so difficult to find. The round that ends the game is probably among the most difficult HOS that I've seen in a game of this type. Overall, this is an older HOP game with very challenging HOS and a fun game between rounds. The graphics are not completely up to modern standards but they're good enough for the game to be enjoyable. The magician's book was cute and funny. If you like HOS this one is worth trying out to see if you like it. Rated 2 out of 5 by gamefan10 from A confusing, difficult game I had a difficult time understanding this game. The directions were unclear for each step. It's mostly HO scenes, with a few mini-games, but you are supposed to learn spells and then use them to help you locate things. There is a very skimpy hint system that takes quite a while to build up again. 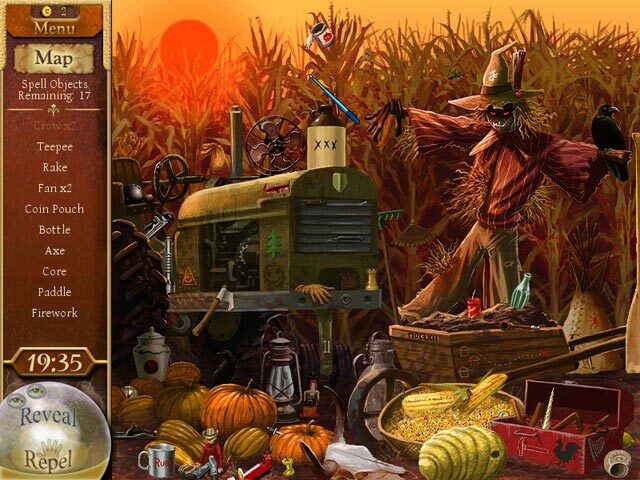 The main reason I was so frustrated was that some of the hidden objects were so hard to find. You are penalized if you click too much to look for objects, but often there is no other way to find them. 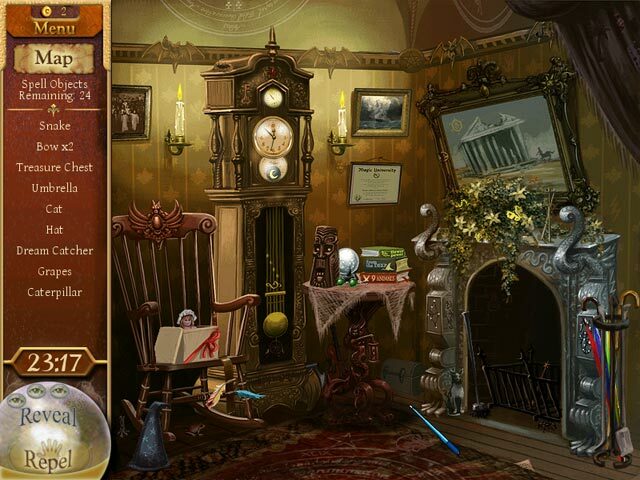 I tried using spells, but they last for such a short time and then you are back to looking for objects. I would not recommend this game. Rated 1 out of 5 by scarreddarling from BOO Straight HO's and super basic. 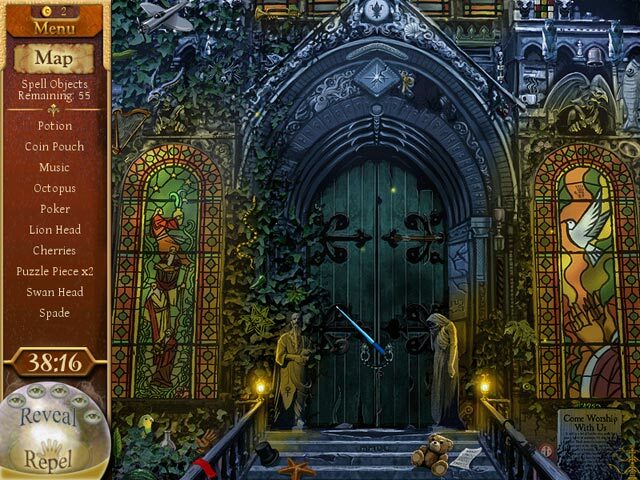 Travel to the dark and mysterious Cursed Valley and remove the curse to reveal the pages of the Magicians Handbook.